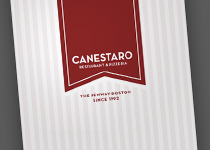 Canestaro began in 1992 as a small family-run pizzeria and is now proud to be a Boston institution. 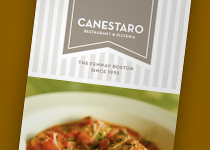 Our Italian-American cuisine and neighborhood fare and handmade with care. We hope you enjoy dining with us and return often. 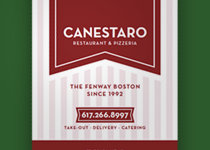 We deliver all over Boston. Please call us to see if you're in our delivery area. Our "cozy" atmosphere is great for special occasions or a fun meal out. We have parking too. Anything you see in either of our menus can be made to order for your special occasion.